How do parents and children care for each other when they are separated because of migration? 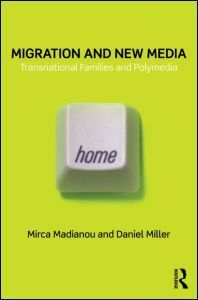 The way in which transnational families maintain long-distance relationships has been revolutionised by the emergence of new media such as email, instant messaging, social networking sites, webcam and texting. A migrant mother can now call and text her left-behind children several times a day, peruse social networking sites and leave the webcam for 12 hours achieving a sense of co-presence. 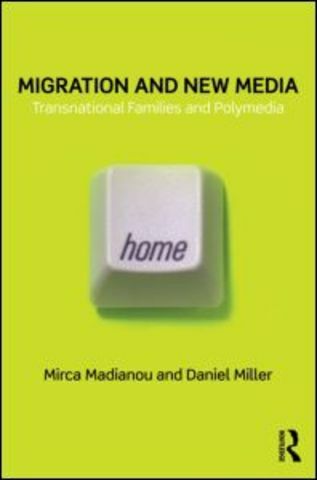 Drawing on a long-term ethnographic study of prolonged separation between migrant mothers and their children who remain in the Philippines, this book develops groundbreaking theory for understanding both new media and the nature of mediated relationships. It brings together the perspectives of both the mothers and children and shows how the very nature of family relationships is changing. New media, understood as an emerging environment of polymedia, have become integral to the way family relationships are enacted and experienced. The theory of polymedia extends beyond the poignant case study and is developed as a major contribution for understanding the interconnections between digital media and interpersonal relationships.